Hi Marc, I haven't written in a while. I've read most of your books and just finished Feynard. The Dragon Librarian is next! Seems as I read each of your books or series, in that very book or books, I experience you creating the most amazing worlds with the most amazing creatures I've ever read! I am always drawn into your worlds and can't wait until I can next sit down to read! I have read many authors but when I see that you have a new book out, I am always very excited and quickly order it! Thank god for kindle! Sometimes waiting for a book to be mailed is unbelievable torture! Hi Donna, thank you so much! I do love creating worlds and cultures and all that, as you can tell - one of my absolute favourite things in all the world. Hee hee yes, I am working hard on various sequels and finishing series - Shioni of Sheba also needs to go on your list, as well as Aranya #4. Lots and lots to keep me busy! Hi Marc, thanks for replying! Your correct for some reason I haven’t yet read Shioni of Sheba. I will have to get to that series. 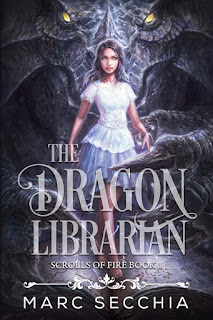 I am well into The Dragon Librarian and love that it is the precursor to Hualiama! Another absolutely awesome read!!! Wonderful to have more pieces and the chronology. Makes me want to go back and reread a number of your books with new eyes! You said I should also read Aranya #4. Which book is this?! I can’t seem to find it. Hi Donna - sorry, I meant that was a series I need to finish so you can read it :-). Shioni is missing book #7 and Aranya #4 is not yet written (on the way tho). Thanks! Hello Marc! 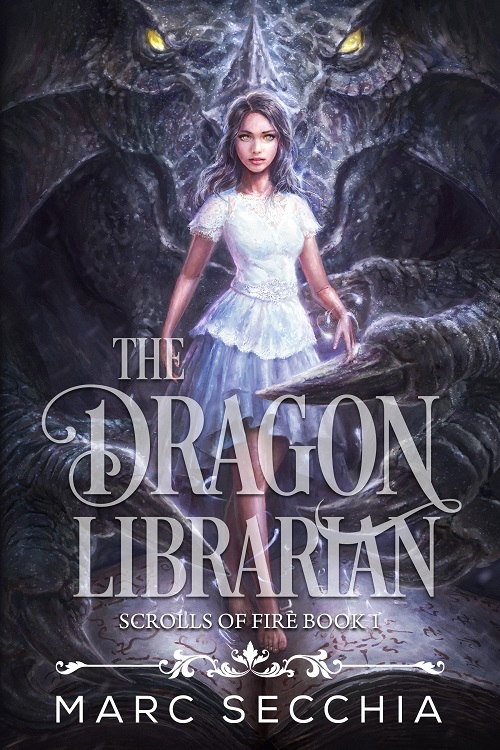 Just finished The Dragon Librarian, and I didn’t want it to end! Is there a projected date for the next book? Hi, is there a book two of this series yet? If not, when will it be out? Yessss!! I've been ho-humming about what books to read next and in so glad there are new releases by you! I'm in for a perfect weekend staying home and reading what I know will be awesome journeys for me! I'm stoked! Thank you Mr. Secchia! !